Oyugis is an agrarian community. 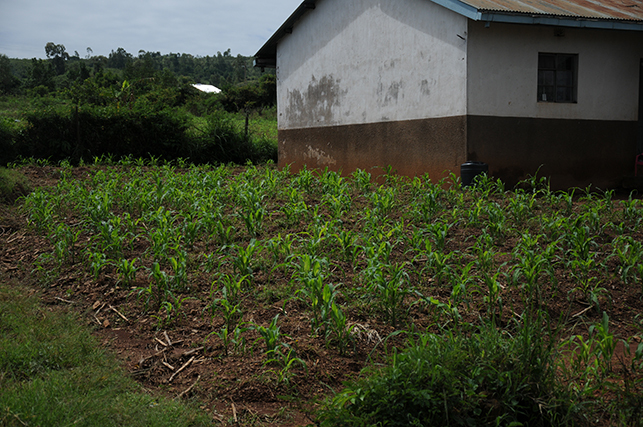 Most children in the community will become farmers and most schools have ample land for crops. Yet there are no feeding programs in any of the schools. Seeing this need, we’ve begun teaching the seventh and eighth grade students how to farm so that they will be able to use this knowledge to earn an income and support their own families when they graduate from school. 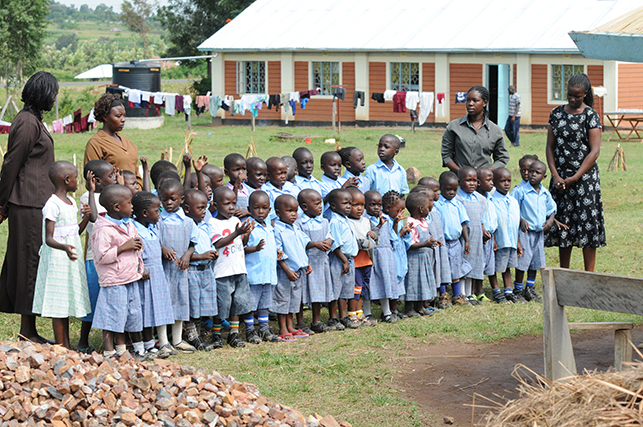 We start by teaching the students proper farming practices and providing seed and fertilizer for the schools’ crops. The students are responsible for planting, watering, weeding and harvesting the crops. They are given a grade for their work. The crops they harvest ensure every student in the school has at least one meal every day. Several years ago, Hearts for Kenya invited a nutritionist to visit Oyugis. She created a porridge of corn, soy beans, peanuts and sorghum, cooked with boiled (clean) water, that would give growing children the nutrients they need. This mixture is served on school days to the students. Ideally, milk would be used instead of water, but it is not often available. The crops grown by the students in our farming program are used to create the porridge that feeds the rest of their classmates. For many students, this may be their only meal of the day. Our meal program now supports 20 schools with 8,062 students – nearly half of whom are orphans. Our goal is to support 30 schools, which will add approximately 4,000 children to this meal program. What started as a preschool for the youngest children at Amani has since added 1st, 2nd and 3rd level classes as the students have grown up. We have hired teachers from the local community and use the students’ school fees and donations to pay the teachers’ salaries. Our goal is to continue expanding the school up to class 8, making it a complete primary school. To create enough classroom space for this, we plan to rebuild the administration building that has fallen down (located just behind the big hall at Amani). It will have the same water system as the Mary Ballard Medical Clinic, and we also hope to use solar energy to power the building’s lights and equipment. 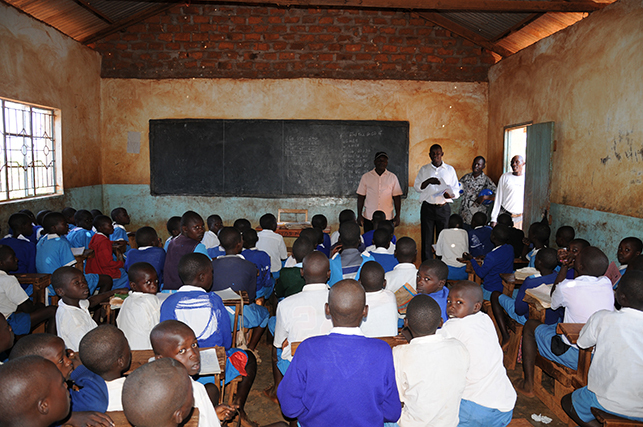 Currently, only about half the students are able to pay their school fees. We must increase this figure in order to pay the salaries of the teachers of the additional classes. 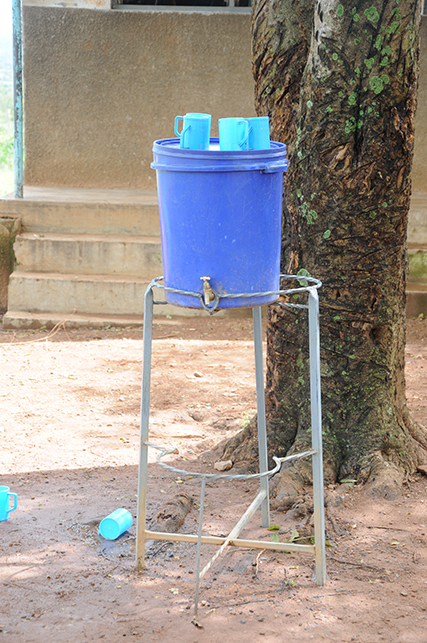 A sponsorship program will help support these costs and make the school self-sufficient. 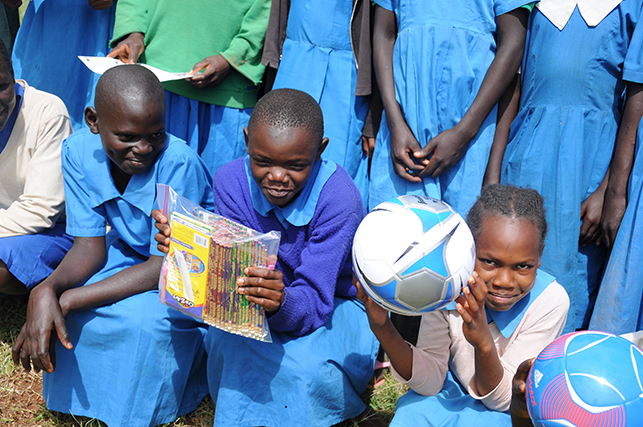 Hearts for Kenya will soon announce a program where sponsors can “adopt” a student at Amani. Approximately $50/month will pay for one student’s annual school fees, uniform, shoes, meal program and graduation fee, along with an annual medical exam and medical expenses throughout the year. In return, sponsors will receive a photo and bio of their student along with their grades and teacher comments. Sponsors will be able to communicate with their student through email, and they will be able to send and receive letters through our twice-yearly visits to Oyugis.